We have spoken with Emmanuel Okeke, owner and founder of Friendite.com – the dating website for black singles in Nigeria and around the world. This site was built with the dating software by Pilot Group, called PG Dating Pro. – Emmanuel, please tell us a few words about your target audience. – Friendite.com targets the youths mostly, we try to solve the problem of heartbreaks in the world, not just in Nigeria, so we believe that the youths are the main target for us, as they are filled with love and want fun, parties and entertainment. Friendite wants to help the young people understand relationships better and ultimately improve the marriage and reduce the divorce ratio. – OK, why Nigeria? Is the dating scene in Nigeria any different from other countries? – Nigeria has been restricted on most dating sites around the globe. As Friendite happens to be a company based in Nigeria, we decided to make up for it and start accepting Nigerians and people from all over the globe. Online dating site is actually on the rise over here in Nigeria, in the sense that Nigerians are beginning to start loving the idea of meeting their match online. – What do people say about your website? – You know, I do get a lot of good feedbacks from my users, especially via Facebook inbox messages; we even have lots of people talking about our sites on shows, events, YouTube etc. 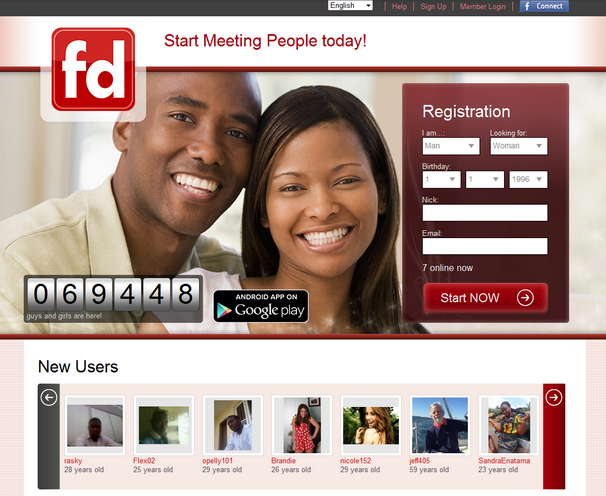 Friendite is currently now Nigeria’s largest and No1 dating site. We have been able to connect over 3,000 users to their perfect life match partners during the first year after launch. – That’s great to hear! What features do you offer your site members? – We are not just a platform to help you get connected; we are also a platform that gives advice for a better marriage/relationship. At Friendite we thrive to make and create a wonderful atmosphere for singles searching, married couples and divorced couples, we support relationships of all kinds. Also, Friendite is 99% safe for dating, however we urge that you report any suspected activity of any user, we are always available to help you via email, live chat and phone calls. Friendite is completely free to join so take your chance to explore an amazing and extraordinary dating lifestyle.